IDFA: the Googlization of Cinema? IDFA: Doc Lab Live Screenings or the Googlization of Cinema? Doc Lab programmer Caspar Sonnen explains he is focused on “finding ways to reach an audience bigger than just new-media experts… the point is that there are great stories emerging online and we have to show them!” This seems to be the driving force behind the new Idfa’s Doc Lab, the special area where the relation between new media and documentary making is explored. Projects are showcased in the Doc Lab Media Lounge and during a number of special Live Screenings and events. For me, it was funny and alienating to see a huge Google search engine at the beginning of the screening in Tuschinksi 4 last Tuesday. Arguably, there are three sorts of new media films: firstly there are projects that have new media practices or events as topic, secondly there are films or projects that are developed by the use of new media techniques, thirdly there are the projects that combine the first two. Besides the earlier discussed new media projects like Perry Bard’s remake of Vertov’s Man with a Movie Camera and the Jeffrey Shaw installation T-Visionarium, Doc Lab’s main focus on Live Stories & Live Events resulted in a programming especially in the second group, in the sense that the selected projects were dealing with rather traditional documentary topics by means of online new media techniques: online documentaries. Among them, the projects Six Billion Others (Yann Arthus-Bertrand, Baptiste Rouget-Luchaire, Sibylle d’Orgeval) , The Interview Project , and From Zero were selected. The curator of Doc Lab, Caspar Sonnen, in search for new ways to show the computer based documentaries, invited the documentary makers to live screen their projects in one of Ifda’s main locations, Tuschinschki 4, a classic cinema in the center of Amsterdam with fluffy chairs, a nice big screen, good sound, and mice tripping around. All three documentaries fitted well in the documentary genre. 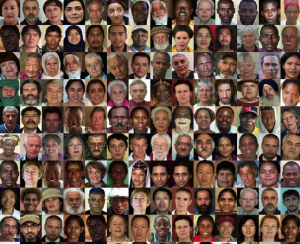 Six Billion Others is a collection of five thousand interviews in 75 countries with the goal of gaining insight into ‘the other’ with questions like: What did they learn from their parents? What are they passing on to their children? What difficulties have they overcome in their life? What is the meaning of love? Parallel to the website, the project has an offline museum version. The Interview Project is a series of interviews collected by a group of filmmakers (The Team) on a 20,000 miles roadtrip through the United States. The Project is hosted by David Lynch and one of the directors is his son, Austin Lynch who also hosts the live screening. Zero Italy is a project by Stefano Strocchi in which we can follow the course of events connected to the earthquake near L’Aquila on April 6, 2009. We can consider these kinds of documentaries database projects: the material consists of a pile of smaller clips, with mostly more than one director, and there is no longer one hegemonic linear story to detect. Every viewer can create a personal trail and decides when to watch what clips, in what order, and for how long. 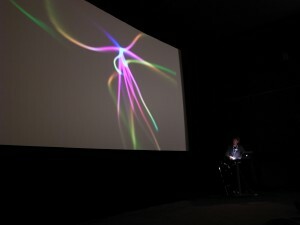 The live screenings though, avoid these characteristics and the audience is left—again—with a linear projection without interactive possibilities. Yet, the presence of the directors, renders the screening more open and interactive than an ordinary screening. Even when the stream of images is a linear one, the audience can in some cases see how the clips were subtracted from the front end of the database and the presenter or director can comment on the fly. This combination is basically somewhat enchanting. 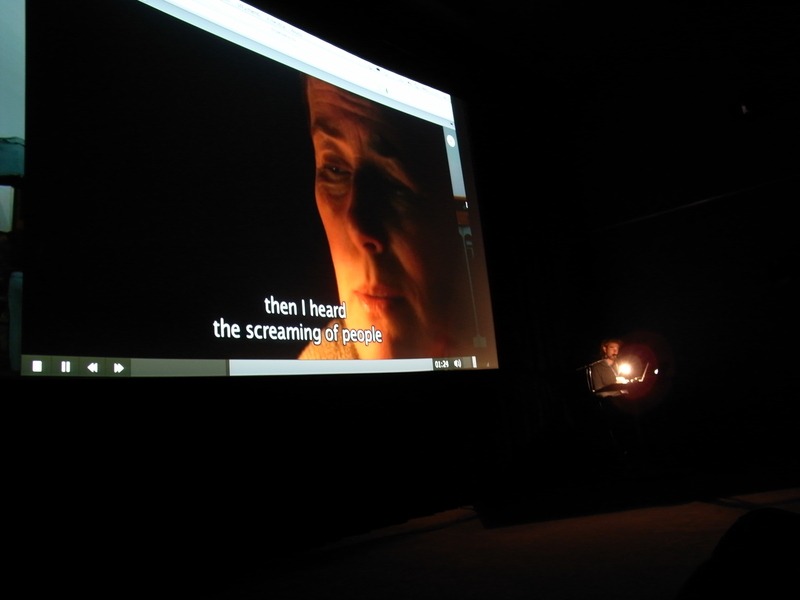 The mixture of the compelling cinematic apparatus, a verbal narration running parallel to the screenings and the opportunity of a Q&A make the live screenings interactive in a different way. Accordingly, instead of watching a private trail trough an online database this way the screening becomes a communal live event with a master of ceremony as VJ, who is creating a unique storyline and an unique event. Once home, you can try for yourself and find your own story to contemplate on. It seems that the online documentary in the environment of the festival, instead of inviting the visitor for a viewing in the privacy of the own home, first creates a movement in a more outward and public direction: the documentary is now consumed as live performance, recalling live music performances and theater shows, and discourse is launched. The documentary in this form triggers a new form of storytelling, in which live, recorded, and interactive material is merging and is presented on the fly. For Sonnen new media projects enable us to revitalize older questions concerning multiple truths, the task and responsibility of the maker, and the role of the audience. Just as Bruce Sterling argued during the Moving Movies Industry Conference last year, new media and especially the Internet, is by some filmmakers experienced as a threat. Copyrights, means of production, and distribution are changing, and new techniques change roles. Yet, at the same time these new techniques create new possibilities for this narration, production, and distribution: online documentaries are very suitable for finding a niche audience and the long tail is effectively working in this environment, according to Sonnen. Another side-effect is that also unfinished projects might be interesting to show to a broader public, just as the Doc Lab experienced with the live screenings of Gaza Sderot last year at the SXSW festival last year. This way a discourse can emerge around a certain topic before a project is even finished and could maybe even influence the process of the making: reality is catching up with the process of production. This is what Doc Lab tried to survey: how new kinds of stories can be shown to an audience in different ways. The combination of the website, media talks, installations, presentations and live screenings together were an interesting collection of events where the online and the offline were interlinking. Most of the screenings were sold out, the media talks were well visited and one could say the formula was a success. 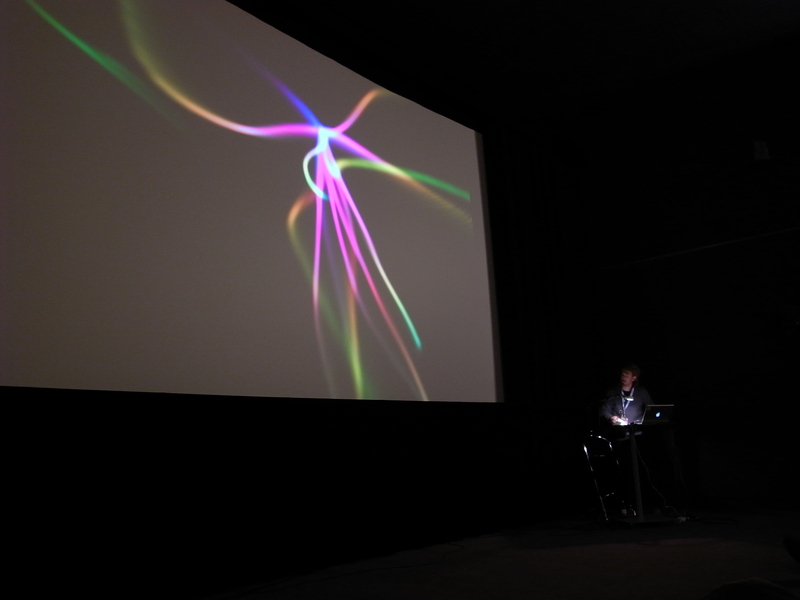 Especially the live screenings were a good example of how curators, audience, and filmmakers are searching for new ways of sharing, distributing these new kinds of content. Maybe it is time for the Idfa, in cooperation with some other institutions, to start a new fund, especially for these kinds of online documentary experiments. Anyone?